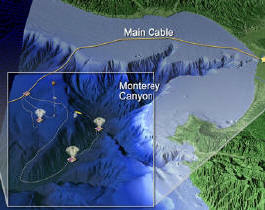 Deepseacam.com is a new approach of research on continental margins and deep-sea environments. 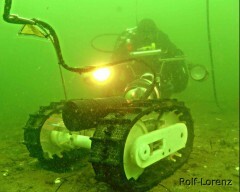 Our crawlers are currently located at a test site in the Baltic Sea. You can check the latest pictures taken from the site in Baltic Observatory section. This project is organized by IRCCM, an international group of institutions that are committed to a further exploration of the deep sea floor. A new project was launched in 2005 which enables us to install a long-term observatory at a shallow test site in the Baltic Sea. The Baltic is in the focus of many research projects dealing with the investigation of submarine groundwater discharge and methane releases. This environment thus provides geological features and settings which are comparable to cold seeps at continental margins, where we focus our main research. From the scientific point of view this research area enables us to investigate fluid flow variation and gas releases in time and space. Like VENUS is representing a shallow water testbed for NEPTUNE, the Bay Network is the initial step for a larger network of a scientifically very heterogeneous environment. 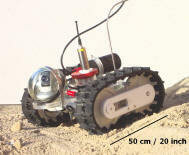 Deppseacam project is the European contribution to the Monterey Accelerated Research System (MARS) by IRCCM, the International Research Consortium on Continental Margins. For the IRCCM deep-sea observatory, three Internet Operated Vehicles (IOVs) will be equipped with different sensor systems. All IOVs will be connected to one central instrument system (Lander), which is located up to 100m away from the fiber-optic cable node. The Lander carries additional sensors and transfers the data of the IOVs to the offshore data center. Please go to our Technology section to obtain more detailed information. Before taking off to the the United States, the different instruments will be tested extensively in the ocean laboratories of Jacobs University Bremen in Germany. The project is steered and overseen by IRCCM's Partners. Deepsea.com Ocean Observatory is one of several projects of IRCCM, the International Research Consortium on Continental Margins. Obtain more information here. The project is supported by STATOIL.